Maybe I’m Not Doing It Right…. Happy Tuesday and Happy Summer! As I watching the morning news this morning, this commercial aired. My first thought was – I must be doing it wrong. I can hardly find one thing to watch on TV at one time – let alone – SIX! And to find six things that are worthy of being recorded all at the same time- – I’m not sure that is possible. Maybe I’m a little bit of a prude these days – I just don’t find much on TV worth watching. Don’t get me wrong – I do watch TV and I do have some favorite shows I record on my DVR and I make sure to never miss them. One of my favorites is Top Chef and I never miss an episode of Mythbusters. 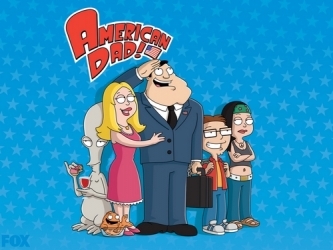 And just to share a little more with you – a dirty little secret of mine is that I love the show American Dad. Just to be clear – I don’t think all TV is bad. It helps us disconnect, dream, learn about other places and experiences. But it does concern me that Dish Network is now offering the ability to watch even more TV. And it goes without saying that if you’re hoping to record up to six shows at one time – most likely, your intention is to watch those six shows at some point in the future. Are these shows really worth my time? What am I not doing by recording and watching this much TV? What are you not doing these days by TV watching? PS – yes , I do recognize the irony that my inspiration for recommending to not watch too much TV – came in fact from a commercial I saw while watching TV. Categories: Position Piece, Random Thoughts | Tags: American Dad, Dish network, entertainment, going back to school, Grad School, Mythbusters, not enough time, online poker, too much TV, Top Chef, TV | Permalink.